The world as you knew it is over. Maybe you are depressed or so very tired you can hardly think and the effort of showering and getting dressed for the day seems overwhelming. What you are feeling is normal. It feels awful, life will get better. There is a path to a better future. The first step to surviving a marital separation is believing you will survive. Know that you will be happy again. You will find a new normal. 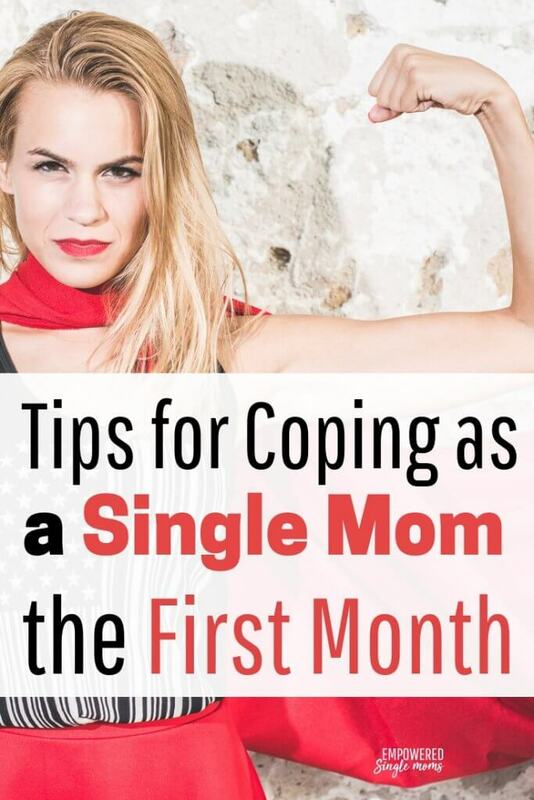 You will learn how to be a single mom. For the first few weeks, you may feel devastated. That is normal. Your life has been turned upside down. Nothing is like you planned. You are grieving not only what you lost, but you are grieving the dream of what you hoped you would have. You are not alone. Many women have been where you are and we survived. You will too. It may not seem like it, but trust me on this: life will get better. You will be happy again and you can have a good life. Your kids can grow up to be successful adults with good jobs, great friends, and wonderful life partners. Right now, take a breath and know that you will make it through this and get to a better place. The Thriving Single Mom Journal will walk yourthrough a process of believing in yourself and making a plan for the next chapter of your life. The second step to surviving is to make sure you have a way to provide safe housing and food. Those are your children’s and your primary needs. You need a budget. Write down your income and subtract the bare minimum of expenses: housing, heat, lights, food, transportation, medical care, and clothing. Use what is left for wants. Cut your expenses and clarify your wants and needs. If you can’t afford to buy or rent on your own, which friends or family could you live with for the short term? Do you need to apply for government assistance? You may feel shame in applying for assistance, but it is there as a safety net. You have paid taxes and now you are getting some return on your investment. There will be other options later, but it is crucial to have a financial plan to meet your family’s basic needs. Here is an example of a monthly cash flow plan. You and your kids need to know what to expect when it comes to parenting time. Work with your ex to make a plan for the first two to three months. Evaluate the parenting plan after everyone has had a chance to get used to not living in the same house. As long as there is no abuse and the children are safe with the other parent, children do best if they have a relationship and regular contact with both parents. There are several ways to share parenting time. It is easiest if both parents live in the same school district, but that is not always an option. Variation of a week on/a week off: The “off parent” has the children for a night or dinner on the same night every week. 5-day/2-day schedule: Parent A has kids Monday and Tuesday, Parent B has kids Wednesday and Thursday, and weekends are alternated. Two-week rotation: One week, Parent A has kids Monday and Tuesday, Parent B has Wednesday and Thursday, and Parent A has Friday, Saturday, and Sunday. The next week, Parent B has Monday and Tuesday, Parent A has Wednesday and Thursday, and Parent B has Friday, Saturday, and Sunday. Each of these options has pros and cons. Children often appreciate having input on how often they switch between parents. Some kids do not like a lot of switching back and forth, but other children do not like going seven or even five nights without seeing their other parent. Take your children’s ages and temperaments into consideration. Also, your work schedules may affect your parenting schedule. One advantage of the 5-day/2-day schedule is that the parents will have the same nights without kids during the week, making it easier to take a class or be involved in a support group. There are other options and if parents do not live in or near the same school district, there will need to be other arrangements based on distance and children’s activities. It is helpful for the children to have a calendar that shows when they will be with each parent. That way they know what to expect, which will help them feel more stable during this transition. It is sometimes difficult to coordinate parenting with someone you cannot live with. But, if both homes are safe it is important to make the effort. This usually gets easier, but unfortunately not always. If you have a toxic ex-partner it will take extra work to co-parent peacefully. How will you get your children to and from school and other activities? Do you need to adjust after-school supervision now that you are living in a one-parent home? Will you each be responsible for transportation when it is your parenting day, or do you have children going in opposite directions and you will continue to work together to do activity transportation even on your “off-parenting” days? Will you need to enlist friends or family to help with transportation? Can you carpool with neighbors whose children are in some of the same activities? Remember, just because you only have your children part of the time, does not mean you are a part-time parent. Life is easier when both parents have this mindset. Many divorce agreements have a “right of first refusal” clause. This means that when one parent is unable to care for the children during their scheduled time (due to a work commitment, for example) the other parent is to be asked first if they would like to have the children during this time. You need to take care of yourself physically and emotionally. You want to keep it together in front of your children, but you also need time to grieve and cry to get through the worst of the emotional devastation. Separation is like having an emotional tsunami devastate your life. You will also need time to plan a new future. It is difficult to do those things when you are dealing with children who need help with homework, getting food to eat, and being reminded to brush their teeth, but are also grieving the loss of their family as they know it. If you are in a shared parenting situation you automatically have some kid-free time. This is a huge advantage for you and the children, so be grateful for it. (I know that may not be on top of your list at the moment, but try to be grateful). If the other parent doesn’t have the children, do not feel guilty about reaching out to your family or even his family for an occasional kid-free evening. If that is not an option, find a friend or family member who you can trade childcare with and give them a child-free four hours in exchange for them giving you four hours of child-free time. Or you can pay for the child-free time if that is the only way to get it. If you only have a few hours a week without children, do not use this time to catch up on cleaning, laundry, or cooking. This is self-care time. If you were physically ill, you would give yourself permission to rest and know you needed healthy food and extra liquids. Life has wounded you emotionally. You need time to heal. Take it, or you are in danger of getting physically ill or stuck in a stage (i.e. depression or anger) of the grieving process. In the long run, not taking time for self-care will take more time and energy. Keep moving forward. Trust that life will get better. Life is overwhelming right now. You are doing so much and you are so tired. Eventually, you will need a long-term plan. If figuring out the big picture is too much right now, figure out the next step and do that. In time, you will be able to make a long-term plan. For now, focus on getting through today. Life will get better. You can build a new life for yourself and your children. Happiness is possible. You can raise your children to be successful adults who have good friends, successful relationships, and fulfilling careers. This is only a chapter in your story, not the end. We have a private Facebook group to give you the support and encouragement you need. Join us in Empowered Single Mom Tribe. 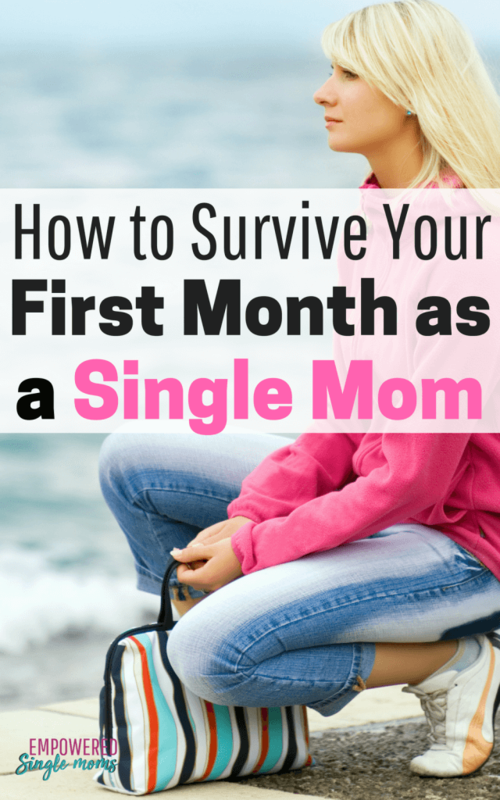 Get your free checklist on getting through your first month here. 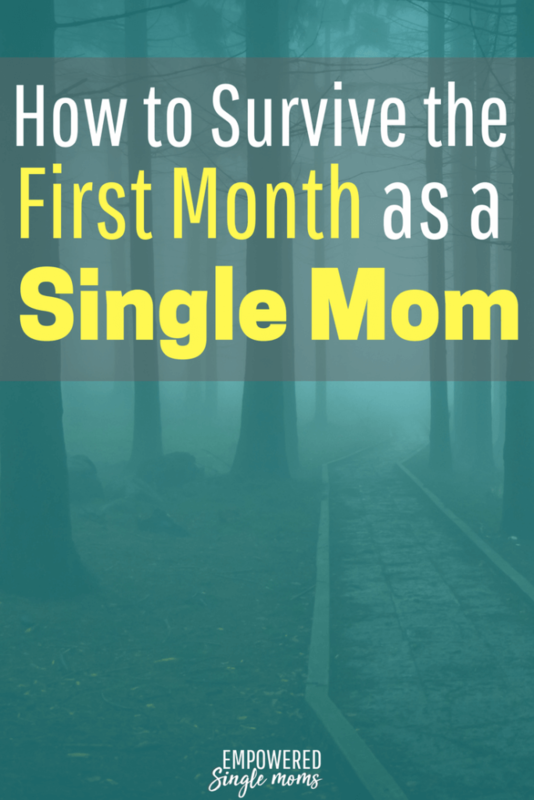 This post is part of a collaborative series with other single mom bloggers. You will find the other articles in Secrets to a Successful Life by Single Mom Bloggers.